Stunning Kreuger is 6 years old, and can be a little shy when you first meet him; give him a bit of time though, and he will be your best friend. He loves a good pat and would benefit from a family that could give him lots of attention. Kreuger is not an overly confident dog, and is on the look out for a family that will take him into the outside world, one step at a time. Kreuger has previously live with other dogs, however he certainly likes to be the boss! He would benefit from a home with no other dogs, or a chilled out older female who doesn’t mind another dog ruling the roost! Kreuger already knows his basic commands but would benefit from some more training to keep his mind busy! 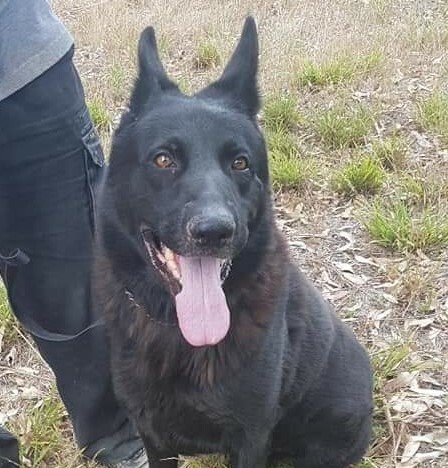 Kreuger has never lived with children; due to his dominant nature with dogs, we feel it is best that Kreuger is placed with family without them, or with children who are at least in their teens. Krueger is a lovely boy and has such potential. With the right family, he will become a wonderful companion. If you think you can give Kreuger the guidance he needs, then we ask that you complete the adoption application form on our website. If you have already completed the form, then let our adoptions team know you are interested by sending an email to rescue@gsrv.com.au.